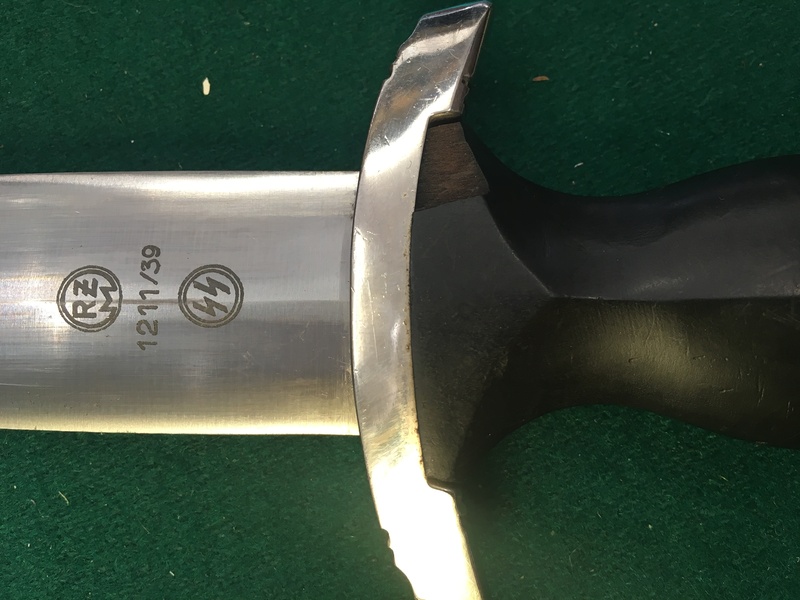 Up For discussion Is This Direct Veteran Acquired SS Dagger By Ernst Pack & Son . This SS Dagger was part of a grouping of items obtained from the family of a US airborne glider landings of 1944. 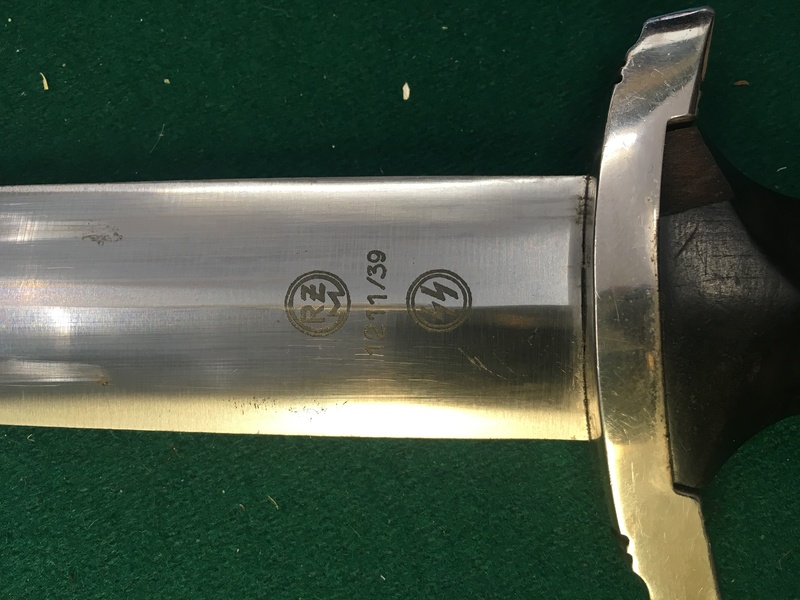 Produced around 1938 this piece exhibits the RZM Code 1211/39 which is a contract marking for the concern of Ernst Pack & Son . 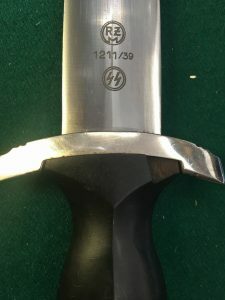 These later production examples of the model 1933 enlisted man,s dagger lake the production quality of the early models . a) An aluminium eagle set into the grip. Early examples had nickel silver eagles. 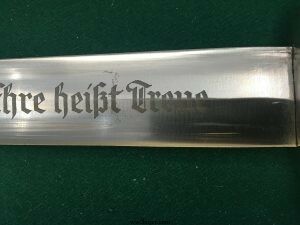 b) The scabbard is black enamel painted which was factory applied. 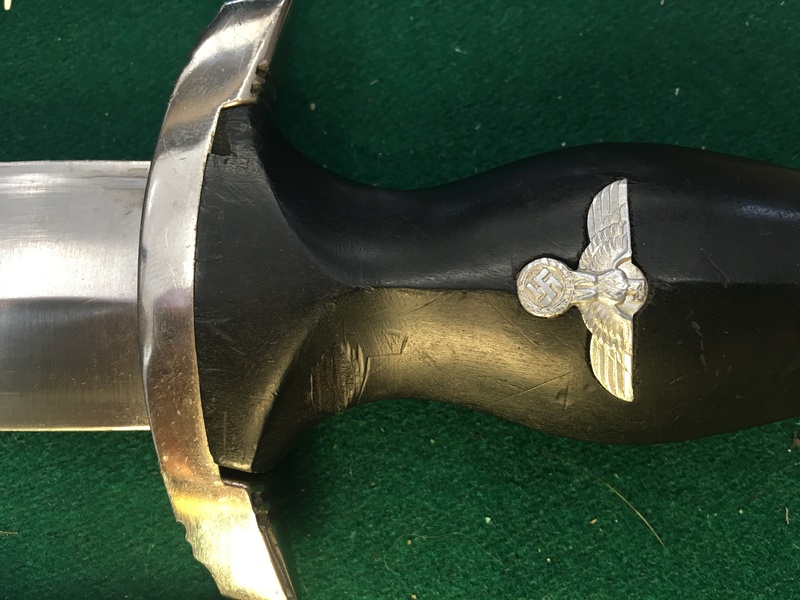 Early 1933 pattern SS daggers were black anodised hen lacquered. c) The cross guards and scabbard mounts are nickel plated as opposed to the early form which were solid nickel . 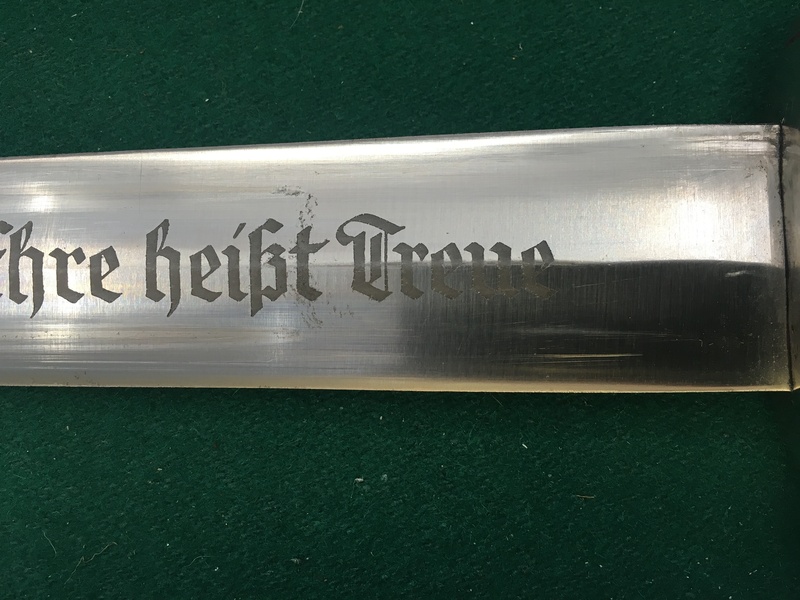 D) The the lower cross guard is plain whereas the early type bore the Roman numerals for 1-2-or 3.